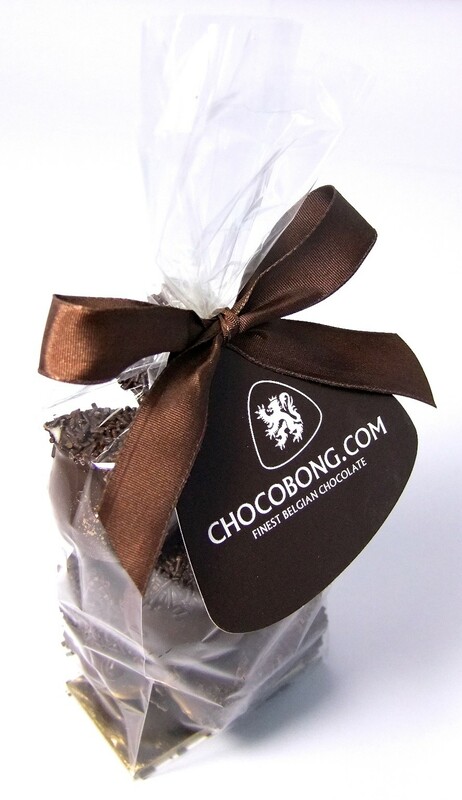 The cherry is covered in various layers of dark chocolate and then decorated with pure chocolate vermicelli. These entre cherries covered in dark chocolate are REALLY special. First, the cherries are washed carefully and then soaked in a mix of Kirsch liquour and brandy, then covered in a fine layer of sugar before being allowed to dry for a few hours. This process allows the sugar to be soaked into the cherry, therefore guaranteeing a rich and sweet taste. 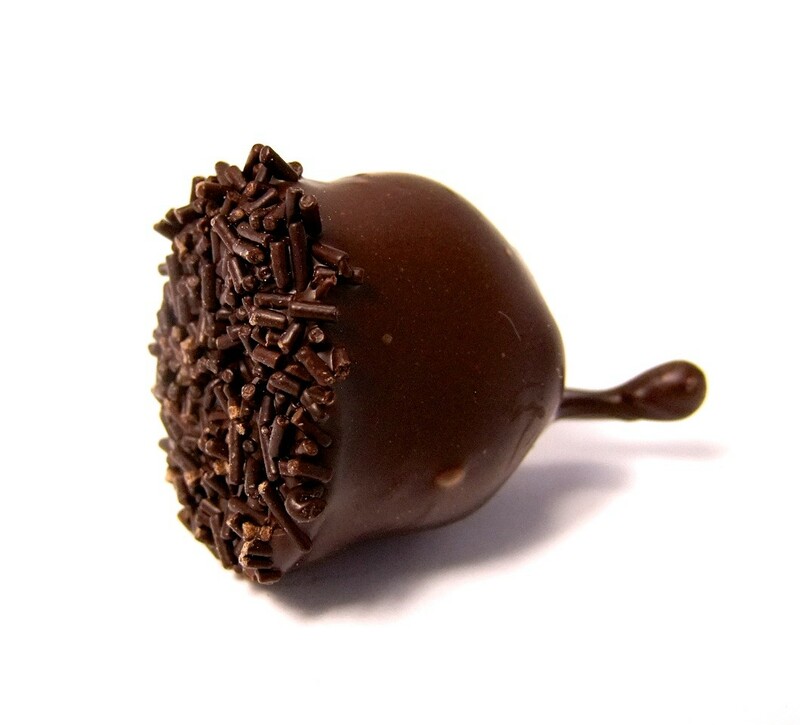 Afterwards, the cherry is bathed in various layers of dark chocolate and decorated with pure chocolate vermicelli. The entire process from start to finish is done by hand. This product is one of our favourites, and we are delighted that we can add this chocolate to our selection for you to enjoy. PLEASE NOTE: This sweet-meat consists of a real complete cherry, with a stone and a stalk. As would follow with a normal cherry, bite around the stone and do not eat or swallow it! Also, whilst you bite, please do so with the same care as you would with a normal cherry. Packed up in clear plastic bags and secured with a ribbon.